Fight in the Ravenloss War to Unlock Rare Gear! 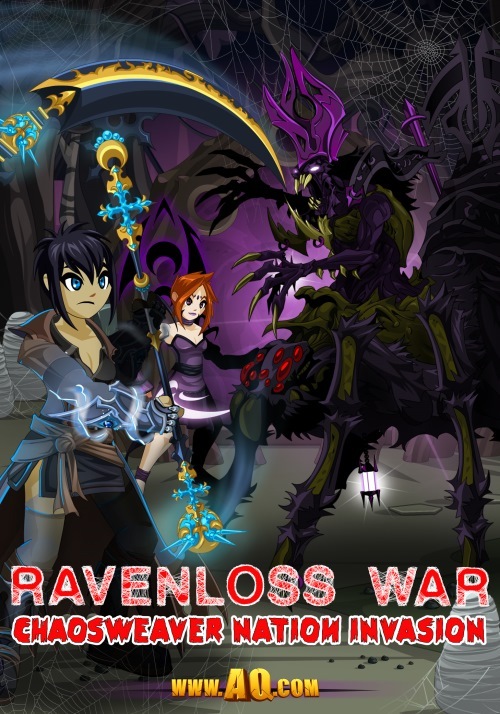 The Ravenloss War Meter is at 14% - and that means... Ravenloss War Merge Shop! Talk to Riadne to see the gear, then slay ChaosWeavers for ChaosWeaver Eyes* and UnderBeasts for UnderBeast Fangs** to get exclusively dark and deadly war rewards! All of these rewards will go rare, but the war itself (and the storyline with it) will be here forever! 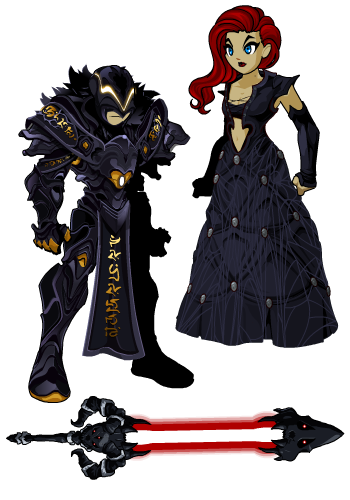 If you can get the War Meter to 50% by Tuesday night, the Bright Robes of Arachna and Bright Arachnomancer Armor, and both Dark and Light Arachnomancer capes will be added to the Rare Ravenloss Merge Shop! Based on player feedback, monster HP has also been slightly lowered. Have a good weekend, Heroes! War Begins in Ravenloss TONIGHT! Battle dark and destructive ChaosWeavers, Underbeasts, and other spiderkin in Ravenloss to cleanse the city of this deadly threat! Recover the scrolls of the Arachna Codex to unlock information that will help you once you face the Queen. Fight alongside your fellow heroes to get the war meter to 100%, then defeat the ChaosWeaver High Cleric to reach the Queen! Fight in the War This Weekend! Complete the quests in Twilight's Edge (now with the real quest text!) to gain control of the Portal to Ravenloss. Then /join Ravenloss to begin battling through the war itself! You've got 1.5 MILLION monsters to defeat, but working together, we know you can do it! Unlock quests with extra rep if you have certain Classes (also increase the war meter)! Once the war meter hits 100%, the war boss will be unlocked! Defeat the High Cleric of the ChaosWeavers to unlock the war rewards shop* and reach the Queen! Defeating the war boss ALSO unlocks character page and book of lore badges! Recover the 10 missing scrolls of the Arachna Codex! But make sure you recover the missing pages of the Arachna Codex first! The boss fight will not unlock unless you find all 10 pages of the Codex. 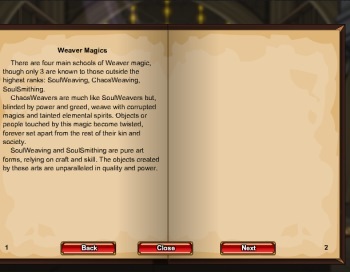 Talk to Riadne to recover each page of the legendary tome of the ChaosWeavers; it holds vital information about their race and may just help you when you face the Queen. * The ChaosWeaver Cleric drops his full armor set, too! 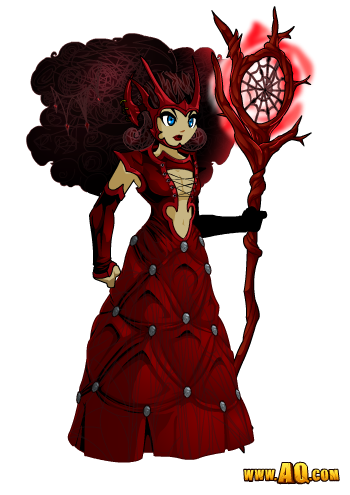 New Gear in Quibble's shop! 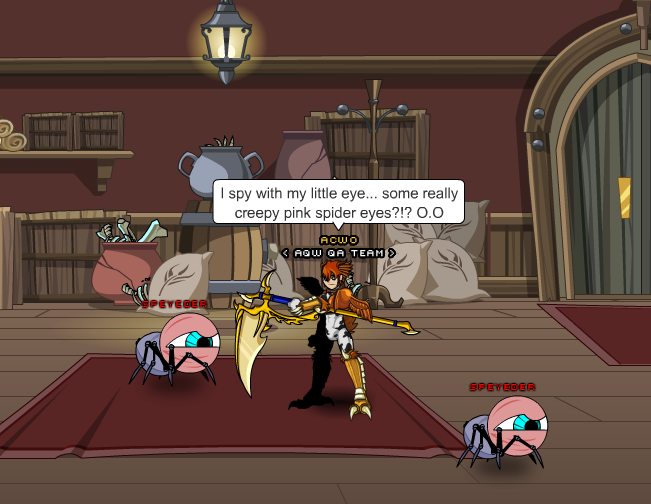 Talk to Quibble Coinbiter in Battleon to find the Royal Weaver armor set AND the Arachnophobia 2.0 set! Pandora's Envy is ALSO in Quibble's shop tonight. The rest of the Pandora blade series (including Tomix's original staff weapon), Codex Scroll maces, and the Distinguished Royal Armor are in the War rewards shop that will unlock after you beat the boss. Now Testing: ALL Monsters Give EXP and Gold! Login this weekend to help us test the return of all monsters giving EXP and gold... no matter what level you are! This means that if you're level 55 hero and want to grind away battleing level 10 monsters, you CAN, it's just going to be much faster to level up if you fight monsters closer to your own level. Thanks to all your support, we have been able to upgrade ALL of our servers! Some of them were several years old and had MANY battle-scars after years of heroes, monsters, bugs, and brawls. Because we are running newer, faster server hardware (the server "box") and had made some additional improvements, we are able to combine servers. That is GOOD, because it means those servers can hold more players with less lag, which means more heroes for you to quest with! We know many of you have "home servers" you are loyal to, where you build communities and battle alongside your friends. Because of Safiria server's loooooooooong history (that server name goes back to 2008, and was the first open chat server!) and the legions of players requesting her return, I asked Captain Rhubarb to make the following change to our server lineup. Quibble server (a Moglin safe server) has been renamed and its canned chat restriction removed. 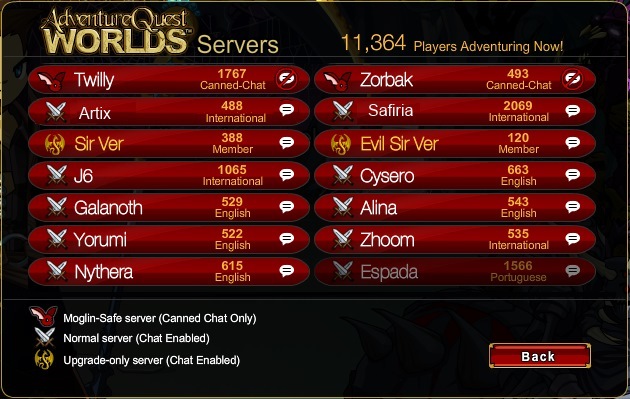 Artix server slides into its place, and Safiria server returns to the line-up as an open-chat, all-player server. To commemorate all the other home servers which have been retired, we are going to make "Home Server" plaques for you to display in your houses. Those will come soon. Thank you all for your continual support! Without heroes like you, we could not continue to upgrade and update AQWorlds! Great news for you Arachno-fans! The Arachnomancer class (and gear shop!) is now live! 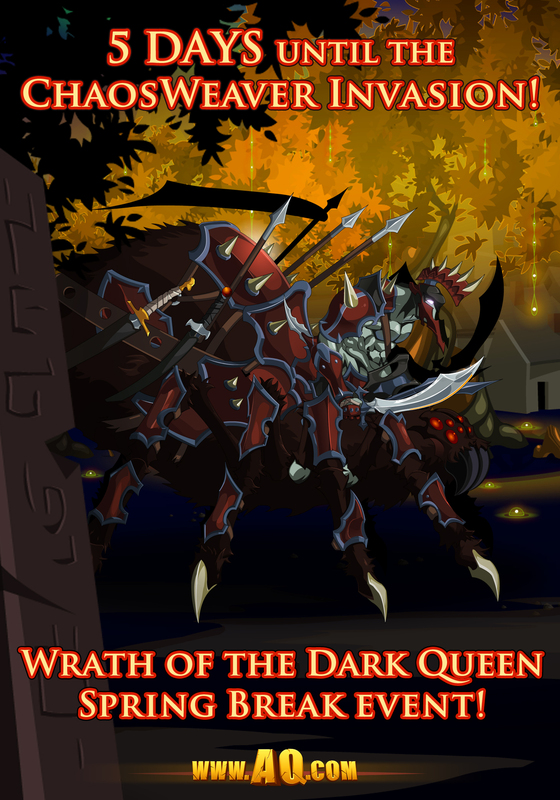 Head to Battleon and talk to Iktomi the Arachnomancer to get the class - and other Arachnomancer gear! If you're a Legend, he'll also have a special, repeatable quest for you that will help you zoom to rank 10 with Ravenloss! Last week, Lore was invaded by ChaosWeavers, and you all fought to protect our land. Tomorrow, we're taking the war to them - we've invading Ravenloss! Fighting in this war is also a great way to get more Ravenloss rep - which means it's also a great way to earn your Arachnomancer gear more quickly! Weave a Web of Magic with our Newest Class! What’s up, players? The “Friend of the Underworld” (AKA mysterious class designer) is here and back with a skill breakdown for the new class that will send chills up your spine: Arachnomancer! I like to call this the “Countdown Class,” and you'll soon find out why. The original concept for Arachnomancer was to make a class that is - much like a real spider - deadly, but squishy. You can deal massive amounts of damage, but you also take a lot of damage, and don't have a way to heal yourself. Arachnomancer is a Magical/Physical hybrid with a Rogue class base. This means you will regain mana from all dodges and strikes you deal in combat and you get back a little HP for every dodge. The stats you'll want to focus on are Strength, Intellect, and Dexterity. A rapid attack studied only by a reclusive few. This is your regular Rogue-based auto-attack. You get back mana for every hit and crit, and that mana regen is really going to be helpful. A single spider bite will hurt, but multiple bites can be lethal. Bite your target with venomous fangs, causing a moderate DoT that can stack up to 6 times lasting 8 seconds with each stack. What’s a spider without venom or fangs? Venomous Fangs is a powerful DoT that does a good amout of damage, especially if you can get all 6 stacks on your target. Combined with other skills, it's pretty deadly. Fire a strong web shot at your target that is guaranteed to crit. Applies Web Miasma, a moderate DoT lasting 10 seconds, if your target is suffering from Venom Fangs. However, you are left Webless, lowering your defenses by 20% for 5 seconds. Induces arachnophobia, sending your target into a state of Panic. Damage from all active DoT is doubled for 12 seconds. Also has a chance to stun your target for 3 seconds. This ability is a killer. All active DoT (including DoT from your allies) are doubled for 12 seconds. The Panic effect will always activate on use, and it can’t miss. The stun effect has a 35% chance to activate – high enough to arguably make the extra damage you take during Web Miasma worth the risk. Eight-Legged Freak – increases dodge rate by 18%. More crits for your auto-attack means more mana regeneration, and the dodge buff helps mitigate some of the extra damage you take from Web Miasma. A surge of toxic adrenaline gives you the strength to ensnare your target in steel-like webs. Applies Cocooned, reducing their defenses by 100% for 12 seconds. However, the toxin causes Poison Overload, reducing your defenses by 50% for 12 seconds. You’ll take some extra damage from all attacks, but your target will take even more. Yes, this means Toxic Adrenaline’s effects will double the power of your already-doubled DoT. Let’s do some math here - multiply Foreboding Arachnid’s Panic effect with Toxic Adrenaline’s Cocooned effect and the power of all DoT will be quadrupled. Arachne’s Favor - increases your STR and INT stats by 12%. This passive skill serves to make your DoT even stronger: when you increase the base power of your abilities, they’ll be even more powerful when multiplied. Now you know why I call this the “Countdown Class.” Once you have both Panic and Cocooned on your target, it starts the countdown for your enemy’s demise, so spam all the DoT you and your allies can. Arachnomancer is primarily designed to take on bosses in group fights, and it is at its deadliest when it synergizes with other classes in battle. I know a lot of you love to brawl it out, and Arachnomancer can also be used in PvP, but be warned: Arachnomancy is by no means easy to master. Talk to Riadne in Ravenloss to begin training. You’ve probably noticed the obvious risks in this class. You have no sure way of healing, no skill to increase your dodge rate even further, and you are likely to take extra damage from opponents. However, this is all balanced by how powerful Arachnomancer can be. It can be a tough class to master: Arachnomancer requires timing, precision, critical thinking, and strategy to reach its full potential. You'll want to try varying enhancement builds for different kinds of battles to improve your survivability, especially for PvP, and consider the balance between your attack power and your stats. You have to think of different skill combinations to use and when to use them. In short, you must plan everything before you make your move. All of this goes back to what I said earlier, this class is deadly but squishy like a real spider. Now are you up for the challenge of conquering Arachnomancer? Now I command you all… get this class and master the unique power of Arachnomancy and taken down whatever stands in your way! And of course we'd love to hear about the different strategies you come up with! War Comes to Ravenloss this Friday! The Dark Queen has evolved, but her goal remains the same: to protect the Nation from all who would harm it… and that includes you! Journey deep into the heart of Ravenloss to face the Queen’s Champion; survive the Cleric's magic and subdue the Queen, or there will be nothing left of Lore but a ChaosWeaver killing ground… and your friends will be left as prey! Beginning this Friday, you and the rest of Lore's Heroes will need to descend into the depts of Ravenloss (once you've gained control of the Portal in Twilight's Edge!) and battle together to win the war! The Codex will reveal much about your enemies! War Meter: kill monsters to earn war tokens. Turning tokens in will increase the meter count. When the meter hits 100%, it unlocks the war boss. War Tokens: there are two different kinds of tokens. Turning in regular token increases the meter by a set amount. Turning in a mega token increases the meter by double the regular token amount. War Boss: Once the war meter hits 100%, you will unlock the War Boss challenge! Beating the war boss unlocks the final cutscene in the war. You and the rest of the heroes in Lore will all be fighting together to reach a common goal: defeating the war boss! With every additional hero who battles in the war, you'll reach the 100% mark that much faster... and that means you'll unlock the rewards and storyline ending sooner, too! 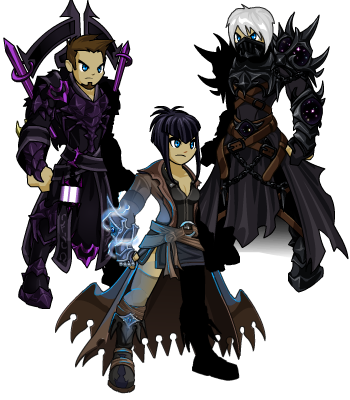 New Gear in Ravenloss Rewards and Quibble Shops! You might never become like the Weaver Queen, but that doesn't mean you can't look like a member of her court with this special edition of her royal outfit! Pandora's Jealousy (green version) will also arrive in Quibble's shop this Friday! The rest of the Pandora blades will arrive in the war rewards shop, but you'll have to beat the boss first! Tomix's original personal weapon, the original Pandora Blade, will be available for rank 10 Ravenloss rep. We hope to release the armblade versions of the SoulWeaver daggers, but it may not happen this week. If you want to dominate in this Friday's war, there's no better way to squash your arachno-enemies than with the Arachnomancer Class! We are releasing it tomorrow to give you guys a chance to start ranking it up before the war begins! New, Faster Servers! And Other Awesomeness. The server hamsters have faster wheels now. Hammies are enjoying their new turbo wheels. Hopefully this will reduce lag and other issues, and in general make your time in Lore smoother and more enjoyable. If you notice any improvement, let us know! 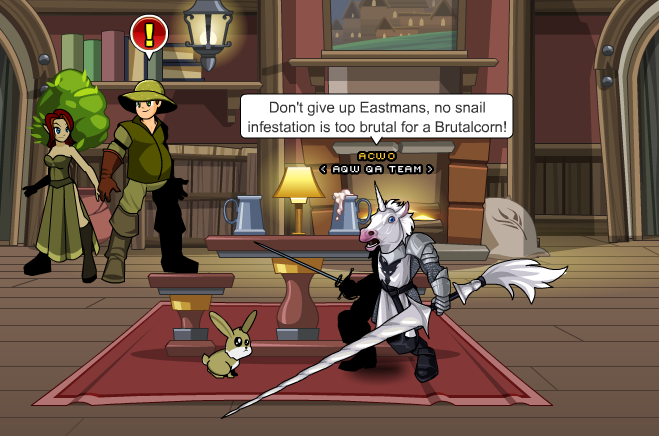 And if you experience any disconnects or other problems, please report it to the bug tracker at www.artix.com/bugs. We want to thank all of you for helping us make these improvements happen. 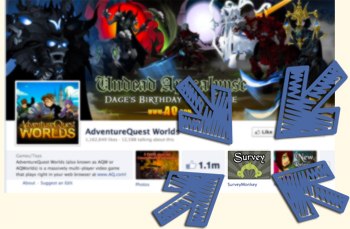 We couldn't make important upgrades like this - or keep AQWorlds online - without your support! We've also got a birthday this week - Galanoth, the Head Dragonslayer of Lore! Head to /lair and talk to Galanoth to crack open his treasure chest of awesome DragonSlayer gear! Time for some patented Dragonfire Spice Cake! This class is set to release this Friday, but testing on it is going so well, we might even be able to release it early. Keep your fingers crossed - on all 8 arms! And for those of you who went to MegaCon this past weekend, your reward is now available in game! Just head to /museum and talk to Valencia to turn in your code and receive your Brutal Cam-PAIN Blade! Pyromancers LOVE fire... but Spiders HATE it! Now that you've gained control of the Portal, we are going to need ALL players to work together to cleanse the ChaosWeavers from this vast underground city! As the saying goes, fight fire with fire. But you should also fight SPIDERS with fire! 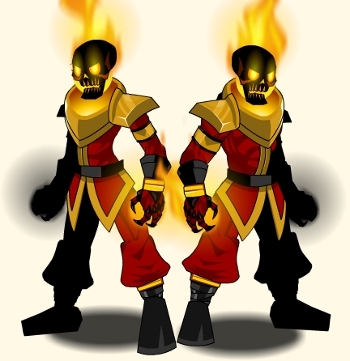 In 2012, we released the Pyromancer Class, but we know many of you haven't discovered the Class for yourself yet, so check out the Pyromancer Class skills below* and see if this is the fighting gear for you! 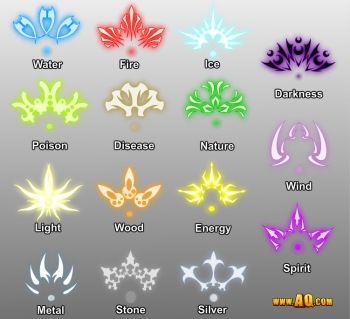 Here's everything that you will find in the Pyromancer Shop. 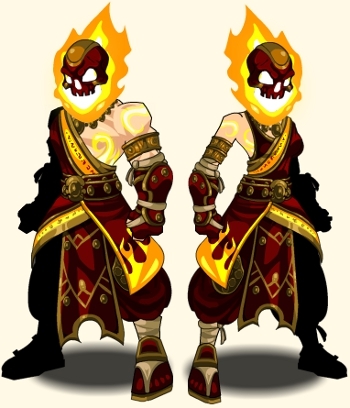 For those who want some options on how your pyromancer (or any other class) appears there are some armor set options too. 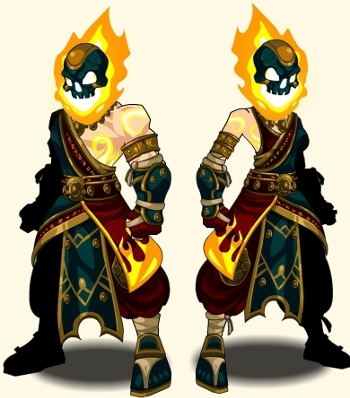 And for those of you who are fans of Xan, the Insane Pyromancer himself, we have added something for you! What is a Shurpu Blaze Token and How Will I Get Them? 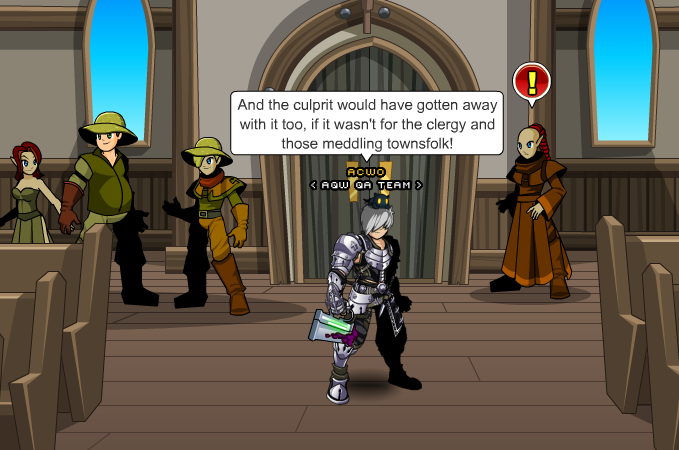 Once you complete the Xan Storyline, speak to Warlic in the Shurpu Library. He will have some daily quests that will reward you with Shurpu Blaze Tokens when you complete them. Free players can earn up to 14 a week but there is a special Legend version of the quest that will reward Members with up to 21 Tokens per week. LEGENDS: You will only be able to do ONE of the quests per day. MAKE SURE YOU DO THE LEGEND VERSION! 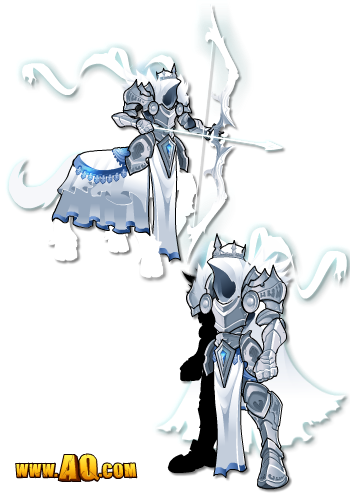 As always there will be an AC version of the class in both the Shurpu Library Shop and in Ragnar the class dealer in Battleon for those who don't have the time to invest in earning the class for free. Now, let's see what the class can do. Most mages learn ways to use their arcane arts to control all of the elements to some degree or another but some magi decide to focus their studies in a certain area of the magical arts. For some like Alina and Reens it is in the crafting of potions and magical mixtures, for some like Cysero it's the forging and creation of magical weapons, armor and constructs. But for some it is mastery of a particular element. Pyromancers (as the name would imply) delve into the deep mysteries behind fire. They study the way that fire both gives warmth, light and life as well as the way it consumes and destroys... but some lose their will to the flame and the magical fires consume their mind and sanity. As this is a caster based class I suggest Wizard Enhancements but you might try your luck with LUCK since the damage potential in this class is pretty high and your crits will be extra nasty. It's built on the Mage mana regen model which gets mana on hitting a target and criting as well. This class is a single target / farming class with only one defense trick but it's a good one. Scorches your foe for light damage. Also applies Scorch for Damage over Time. Light, fast damage with low mana cost and a quick cooldown. The really important thing to pay attention to here is the 6 second DoT, Scorch because every other attack DOUBLES ITS DAMAGE when Scorch is applied to your target. It means if you are farming you will need to juggle putting scorch on multiple enemies since its duration is so short. Something else I should mention here: every non-passive ability in this class has its own battle effect on screen. FLAMES EVERYWHERE! 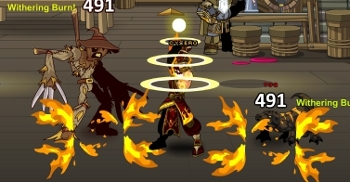 A blast of flame leaps from your hands burning multiple enemies around you, also causes a burn effect for damage over time and reduces enemy damage for a short time. Damage increased on enemies with Scorch applied. This is your only AoE skill, but the cooldown isn't too long, it's not terribly costly considering the cooldown length AND it hits all foes with a damage debuff so they all attack back for less. Even in a single target situation this is a really nice skill as long as you have Scorch doubling the damage to your target. Surround yourself in a magic shield of fire. Reduces incoming damage, heals for a small amount and any enemy who strikes you takes damage. Damage increased on enemies with Scorch applied. This is my new favorite skill. Yorumi really put a lot into making this thing just exactly the way we thought it should be during the concept stages. As soon as you cast, you get a decent chunk of HP back. For 6 seconds, you significantly reduce all incoming damage and for that 6 seconds any monster who hits you will have their damage reflected back at them for roughly the same amount as they would have done to you with a soft cap of 1000 damage (meaning the monster can crit on themselves and Scorch can double that value). This one will be extra fun in PvP as it will remain in effect even if you are stunned or petrified *wink nudge* and the damage will pretty much cut through any kind of defense. "Oh, what's that Mister Glacial Warlord? You just took 90% of your OWN life away while I just stood there? Gee, sorry about that." Since this is specialized damage, the damage numbers will appear as DoT orange numbers rather than white attack numbers. 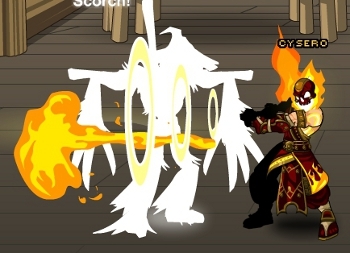 Here's my favorite part... Yorumi found a way to alter the way that skills function JUST to make this AWESOME skill animation continue to loop as long as your Burning Ward is active. Increased survivability and damage, but as it is a non-member class you only get 10% of either. BIG BADABOOM! This is like a souped up version of the mage's basic fireball skill but MUCH LARGER in every respect. This is your nuke, literally. and the damage is still DOUBLED if you have your old pal scorch applied. Oh, that little 833 you see in the image. That's not a crit, its WITHOUT scorch applied and it's BEFORE we raised the damage on the skill in balancing. Occasionally, your Haste and Mana Regen will GREATLY increase for a short time. With so much damage potential it seemed a little silly to make the rank 10 passive another nuke, so instead it will nearly quadruple your haste and mana regen for a short while letting you blast your enemies to cinders with a super-fast barrage of flame skills! There you have it. Pyromancer does not take a genius to play but as with many of our skills you will get a lot more out of it if you put a little thought into how to use your skills to your advantage rather than just button mashing. Now that that's been said... let's LIGHT EM' UP! Class-based quests for Ravenloss Rep! Rolith says,"You need a Pyromancer-only quest for Ravenloss called 'Kill it with Fire'" I say we need that AND class-specific quests for Arachnomancer, Blademaster, and other classes, too! Equip specific classes and complete themed quests to earn extra (larger) amounts of Ravenloss rep! Remember Who You're Protecting Each Week! Welcome back to Willow Creek, a small farming town with a big problem. There’s a monster on the loose, and it’s nomming away all the town’s crops and livestock! While the farmer's names might represent many directions, their fingers all point to the same culprit. But is it really the Dwakels who could do such a thing? /Join WillowCreek to sort out this mystery and prove to the townspeople that the Dwakels’ bite is no worse than their bark. Warlic’s received word from Calafalas, the Church Elder of Willow Creek, that someone or something is attacking their animals and crops! Calafalas needs a hero to track down the attacker and save his people from starvation. Don’t fly away on cold feet, prove your worth to Warlic and Calafalas by collecting Frogdrake feet and Mosquito wings, then it’s time to investigate! Get a move on though Gyro erm… Hero, if you don’t put an end to these attacks soon, the odds will never be in their flavor. Don't forget to check in regularly with Calafalas at the Church. Be careful when interviewing the townsfolk, they are looking for a culprit too, and you don’t want to be their next suspect! The Westin’s home ain’t no 5 star hotel but it’s good enough for them. 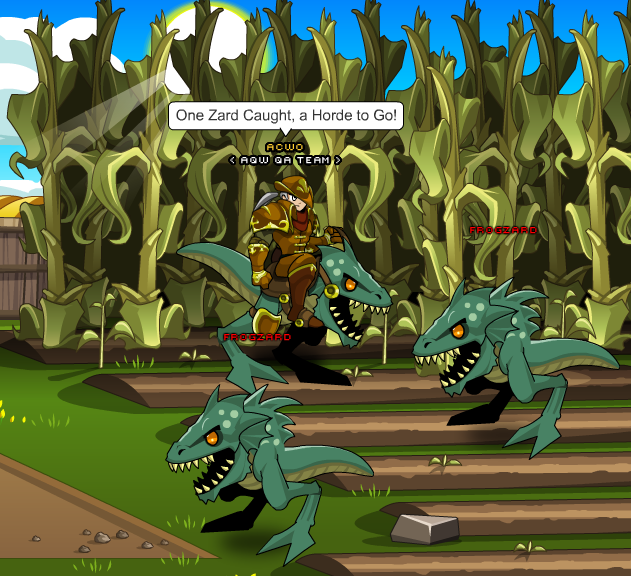 That was until Farmer Westin’s brother decided to let a horde of Zards out all over the lawn. He doesn’t know if these are the beasts the town’s been attacked by, but either way they need removed ASAP! Could it be that the Zards caused this whole mess and the Dwakels are completely innocent? Typed too soon. Grab your pesticide hero, it’s time for an Northrup attic extermination. 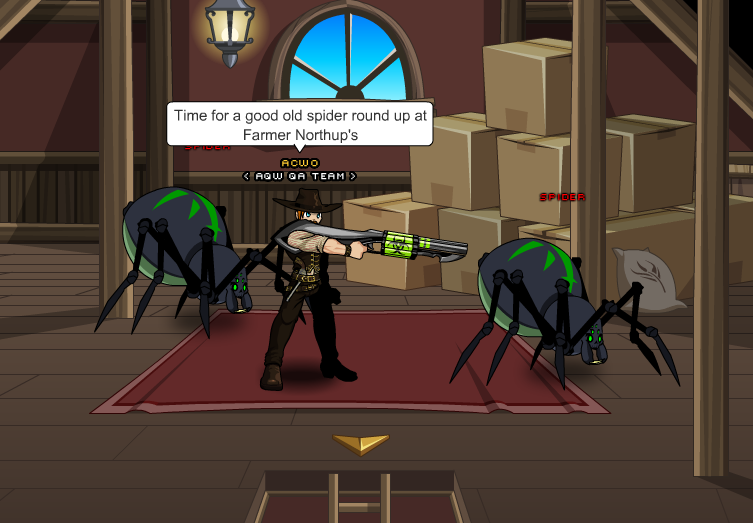 You don’t have time to wait for the Arcanomancer class to deal with these spiders, so get in there and get squashing! Snails are far from the most frightening creatures, unless they’re giant and taking over your backyard. This is the exact kind of problem the Eastmans have asked you to solve. It’s time to grab that salt shaker and teach these snails whose boss. After helping Farmer Eastman, be sure to learn all he knows about the town terrorizer, and why he finds the mountain caves so suspicious. Eye know this array of suspects and suspicions could lead you astray, but Farmer Southwick needs to open your eyes to one more beast. Be sure to store Speyeder in your memory bank, as you got to clear Southwick’s storage of of them. Even with a Speyeder invasion, Southwick is convinced it’s those pesky Dwakels causing the town’s troubles. Now that you’re done with the farm folk, it’s time to head over to the caves and check out these Dwarkels for yourself. After interrogating the townsfolk, head to the caves on the outskirts of town to get your own opinion of the accused Dwakels. They seem like a peaceful race, with a strong leader at the helm. Never before had they attacked the town, why would they start now? Did something set the Dwakels aflame towards mankind or are they simply misunderstood? Talk to the Dwakel Chief, bring your news to Calafalas, and figure out which culprit’s name to howl out to the masses! Take this Town Terror Out! Between the community knowledge of Calafalas and your thorough investigation it’s about time the true culprit was unmasked. Be prepared for the final battle hero, things are about to get hairy! If you can slave the villain, save the town, and get out in one piece, be sure to stop by the Church to get the award you deserve! Could a few eight legged creatures really clear the name of all other suspects? That’s what Famer Northrup wants to know. All that’s left now is to playthrough Willow Creek yourself! 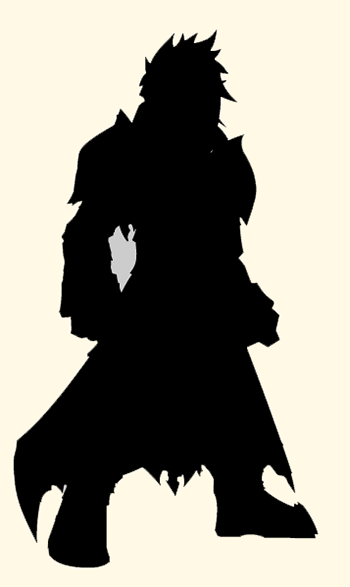 Hopefully you liked this 2nd installment of AQW’s Throwback Thursday. If you have any ideas for next week’s throwback, please post them in the AE Forums or tweet them to me @ACWOAE. It's always a blast writing these kinds of posts for players to enjoy. Take on the ChaosWeaver Army this Weekend! The Weaver Queen has called her ChaosWeavers - deadly, spider-like beasts from below the surface - to WAR... and YOU need to save the day! We've been battling her bugs ALL DAY LONG, which is why tonight's release was later than usual! But that's ok, because we knew that you guys had our back. Got Soul? We know you do! Head into the deepest shadows and face your fears when you /join twilightedge this weekend. Battle the ChaosWeavers and their minions across Lore until you gather enough clues to locate Tomix, the SoulWeaver who has the Key to control the Portal to Ravenloss. Once you can stop the ChaosWeavers from flooding IN, you can go down there and take them ALL out! In fact, that's what the Queen of the ChaosWeavers is counting on! The Queen is waiting... for YOU! Once you've rescued Tomix, you'll unlock a repeatable farming quest to help you rank up your Ravenloss rep. Make sure to take advantage of the Double REP Boost weekend, because next Friday, the Arachnomancer Class arrives! And if you've upgrade your account, check out the new quests and DreadSpider art in the Legend-only Twilight map! Ravenloss is crawling with spiders and spider-type creatures, so it is the PERFECT place to train up your Arachnomancer Class! The Class releases NEXT FRIDAY, and there are several ways you can get it. 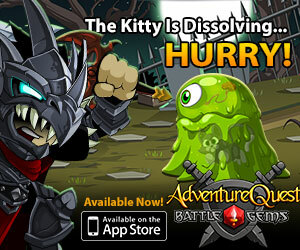 Don't miss one of the darkest Quibble shops yet! Full of rare gear, helms to fear, and armors that will make you /cheer... these are items that won't be here long, so make sure you check them out while you can! Find previews of item art in yesterday's Design Notes. Login Now for DOUBLE the Rep Points! 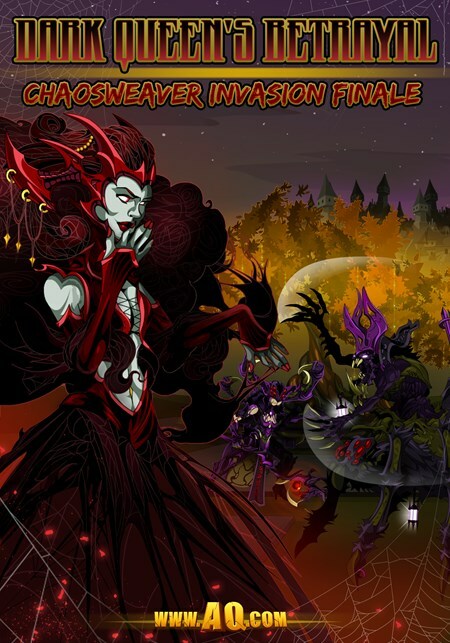 ChaosWeaver Invasion: Wrath of a Dark Queen is LIVE, and the new Ravenloss Rep Faction is, too. That's why all weekend long, we have a DOUBLE Rep Server Boost on all servers! Find the repeatable farming quest from Riadne after you gain control of the portal to Ravenloss in the Twilightedge map. The Dark Queen waits for you! This is the PERFECT chance to earn a ton of rep for Ravenloss, and you are really going to want to take advantage of if, because NEXT Friday, we are releasing the Arachnomancer Class! 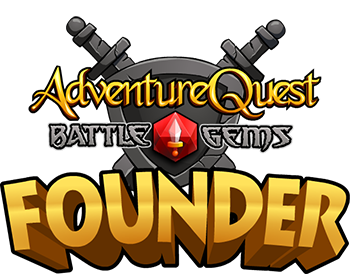 Legends will get a quest which gives them double Rep Points, or if you don't have the time to farm, you can buy it with 2000 AdventureCoins. Back at the Lab today to take care of some things we did not finish during the week. Increasing the Rep and drop rate for the repeatable Ravenloss farming quest in Twilightedge. Updating the new user guide in Battleon (it will appear for all new heroes up to level 12, rather than 7). BattleGems gets Featured as a BEST NEW GAME! Frankly speaking... you guys are freaking amazing! Starting last night, Battle Gems, our brand new mobile game, was featured as a "Best New Game" in the Apple App Store. We are currently in slot #12 -- which is HUGE if you consider there are litterally millions and millions of games on the app store. The reviews from our long time players and from people who have never heard of us before have been overwhelmingly positive. Everyone seems to immediatley notice how much heart and effort we put into the game... even after playing just a few levels you can see the quality, humor and how surprisingly big the game is. We did not hold anything back making this for you... and you are not holding back helping us making Battle Gems one of the top games in mobile. Thank you! The team has been working around the clock the last few days on the iPod Touch 4th Gen crashing bug, and the rare, but equally frustrating Character Data wipe issue. Also, we fixed the error with Dracustien Frankula in the CastlePainya area. We have our fixes in testing now an we will be submitting the fixes to the Apple App store ASAP. Then, completing the port to Android is the next top priority. To all of you Android users, thank you for being so awesome and patient! There are A LOT of different screen sizes and a few "gotchas" porting to Android -- but once these apple bugs are done, we should be able to muscle our way through it. When it does come out for Android, it is going to be even more polished. In case you have been missing them, here are the links! BattleGems: Is it ready yet? If you happen to be going to the MegaCon convention in Orlando, Florida this Saturday... keep an eye out for the Battle Gems suits. The Gems and I will be running around the convention taking crazy and silly photos. I will be posting pictures for everyone through next week via the Battle Gems Facebook page -- give us a like and keep a watch on it! Gear Up to Take on Beasts from Below! Take a look at Quibble's Ravenloss lineup! Find him in Battleon tomorrow night with a host of elemental-themed items and gear to help you conquer your fear of the creatures that crawl up from the dark! 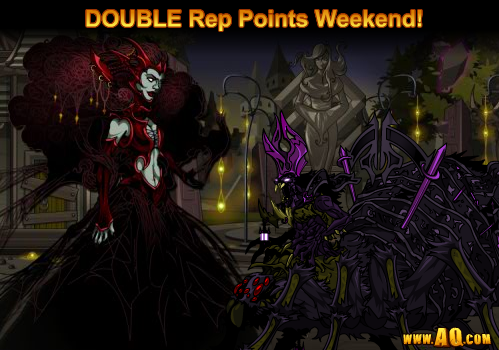 Since all of Quibble's items are themed on our ChaosWeaver Invasion: Wrath of a Dark Queen event, his shop will ALSO count as the event rares shop. *SoulWeaver Prime armor (non-animated) and the Elemental Key Staves will be in the permanent rewards shop. ** Tomix's armor will be in the permanent rewards shop. It is currently available in the DF shop in the /artistalley map. *** Riadne's armor will not be available. She is modeling the cape and mace. We need your Insight on our Website! Hiya, hero! Beleen here, and I’ve got Ai no Miko right next to me. The two of us are on a real-life quest and we totally need your help. It’s time to level up the www.AQ.com homepage! Embark on your Question Quest here! Battle Gems JUST went live! Lucky Day Double Class Points Boost! Gear up and buff your LUK to make sure your HP stays high... because this weekend, ALL servers have a Double Class Points Boost! You're going to need it, because once you're doing carousing around the Lucky Day Faire (/join luck to head there!) and creating puzzles in our new Battle Gems Mini carnival game, it's going to be time to battle your way through Lore as an Evolved Dark Caster! Find out more about Evolved Dark Caster Here! 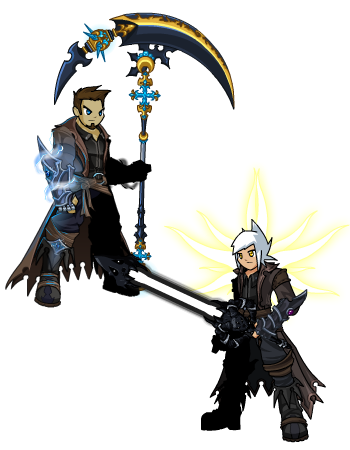 You can get the Evolved Dark Caster Class from Dage in Battleon for 2000 AdventureCoins OR with 2000 Legion Tokens. That Class will be available for at LEAST one month from today. 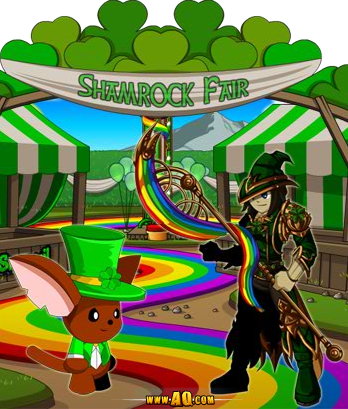 The Shamrock Fair will be in town for at LEAST a week so make sure that you meet all the carnival NPCs, Take a stroll through the hedge maze, play all the mini-games, and bring home LOTS of awesome Seasonal Rare Prizes! But remember, you can only EARN these prizes by winning Golden Tickets from each of the fair games! If you're already an AQW Legend, then you get a leg-up on the competition (as always). We have a SPECIAL MEMBER'S ONLY FAIR GAME that gives a lot more Golden Tickets than the other games... but you'll want to try the others anyway. They're so much fun! Also, if you feel like you need a little extra luck, the Fair Fairies who greet you at the entrance to the fair are selling a Lucky Hat for Adventure Coins that DOUBLES the amount of tickets you win at each game! Battle Gems Mini: Lucky Day Fair's New Puzzle Game! Step right up, Hero, and test your puzzle-prowess with the Lucky Day Fair’s newest game: Battle Gems Mini! Connect rows of gems to clear the board in under 42 turns to win… then create your OWN puzzle board and share it with friends! You'll just need to copy the code, then pass it around and your friends can try THEIR luck with YOUR puzzle! 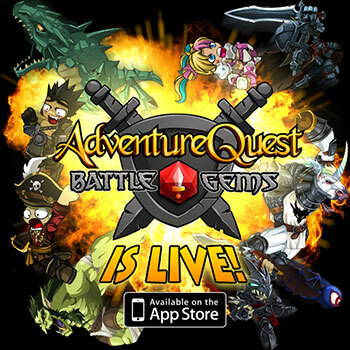 Battle Gems mini is a based on the full version of the Battle Gems mobile game (with combat, monsters, gear, skills, quests, and more) coming soon to the Apple app store! It is NOT an exact replica of the game; the minigame doesn't have combat, quests, or items... so if you want to get your paws on THAT awesomeness, you'll need to wait til Battle Gems hits your iDevice. /Cheer for the AQW Wiki team members, who are celebrating FIVE YEARS of making sure you have all the info you need to know to play your best! Quibble Coinbiter arrives next week in a cloud of rumors whispering about war, an underground city, and betrayal! The ChaosWeaver Invasion: Wrath of a Dark Queen Spring Break event begins! Log in EVERY DAY next week to find an all-new server wide boost! One day might be a Gold Boost, the next a Rep Boost. You'll have to /join us to find out! Wayback Wednesday: Revisit Sleuthhound Inn! Jinkies! SleuthHound Inn is still operating? Welcome to the coolest hotel around, /join SleuthHound in east Greenguard on your map is where all the best and brightest go for some R&R. So sit back, relax, and get ready to solve the mystery of a lifetime. Your lifetime that is, because without solving the mystery, SleuthHound staff can’t guarantee you check out in one piece! Some of you may be old hats at these maps, but for the newer players that could have missed them, I'm here to bring the spotlight back. The first stop on memory lane is the infamous SleuthHound Inn. Ready to dive right inn? Whether you’re a first time guest or stayed often enough for a frequent traveler’s card, each stay at Sleuthhound is never quite the same. and Sir Arthur Mustard (a saucy war vet). Lightning strikes. Who’s that screaming! What’s that noise? It’s about this time that, like in any vacation the hero partakes, it’s realized relaxation is out of the question. Down at the concierges, Curry informs you that the hotel furniture has been possessed and he needs your help to find the culprit. Pull out your ever so stylish detective's hat, hero, it’s time to get questioning. HOW did they possess the furniture? WHERE was the awful deed done? No staff, guest, or frying pan (I’m looking at you chef Whiteberry) is safe from sause-picion. Be sure to check the entire house: hallways, patios, and bathrooms included.Talking to each guest and staff member should get the gears turning towards the true perpetrator. Don’t be afraid to take notes or revisit ncps to aid in your search. Sleuth with caution hero, because the storyline of SleuthHound Inn is rarely the same thing twice. No wiki or guide is available to cheat from for this mystery, as with each visit, the story of SleuthHound begins anew. After you’ve formed an idea of the culprit, their weapon, and where this catastrophe took place, it’s time to bring your findings to Curry. Curry’s been forming ideas too and is pretty confident with his results. However, he wants to make sure you both see eye to eye. When you tell ideas to Curry, make sure to pay close attention to how he responds. The more assured he sounds, the better chance you have the right idea! Don’t get discouraged if he doubts your answer, that just means it’s time to reexamine some evidence, descriptions, and alibis. A conclusion you can both agree on is just around the corner! After you’re happy with your conclusion and Curry seems to agree with your findings, it’s time to click the solve button and catch that culprit! When the mystery is solved and the culprit unmasked, there’s no way you’re leaving that inn without confiscating some new gear for "evidence!" Feel free to help yourself to the garb of the person you convicted, now that they won’t be needing it… right? 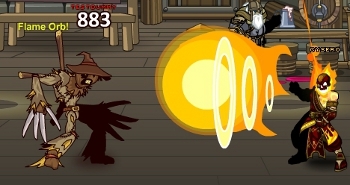 How’d you guys like AQW’s first Throwback Thursday*? If you would like this to become a weekly post or have ideas for the next throwback, feel free to tweet me @ACWOAE or comment on the forums. It's your ideas and input that help us create the best content AQW can! * I threw this first one back SO HARD it got posted on Wednesday! 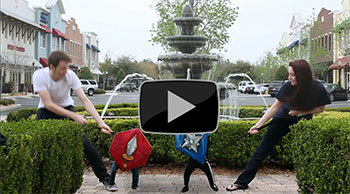 Meet Fuge-- AQWorlds player and creator of this EPIC Paladin Costume! Cosplay is the hobby of creating and dressing up as characters from video games, movies, TV and comic books. It has become main stream in recent years, largely due to the success of popular fan conventions including ComicCon and DragonCon. The creavity, hard work and effort that goes into creating these costumes is simply incredible. So when Fuge, an AQWorlds player posted photos of his self-crafted Paladin armor on my Facebook page... I asked Fuge if we could interview him to get you the inside story. 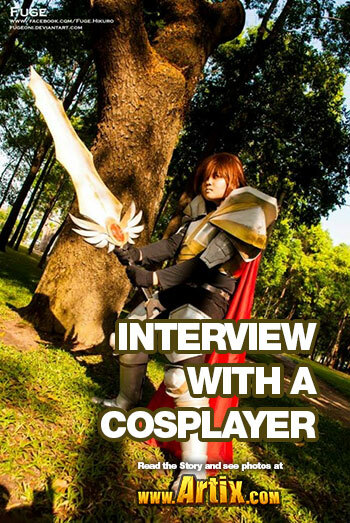 Read the full interview and see the photos at www.Artix.com! Do You Feel Lucky, Hero? There's no pot of gold at the end of the rainbow THIS year, just a treasure chest full of the shiniest gems a Hero could hope for! Visit the Lucky Day fair to play Lore’s favorite mini-games, unlock the brightest gear in-game, and show the world it’s your LUK-y day! And our newest minigame: Battle Gems Puzzle! You can access the Fair beginning this Friday when you /join Luck! There's even more rainbow-filled fun in the /rainbow and /hedge maps! 2014 Minigame: Battle Gems Puzzle! The puzzle-based minigame is built off the theme of our soon-to-be released mobile game, Battle Gems! We've removed the monster combat, but Dumoose is working on a REALLY cool system where you should - if all goes well - be able to design a custom puzzle board and share it with your friends! 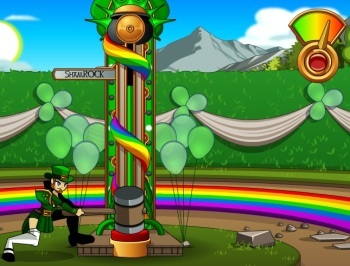 This game will be permanently availalble in Yulgar's Inn once the Shamrock Fair leaves, so you can play all year long! 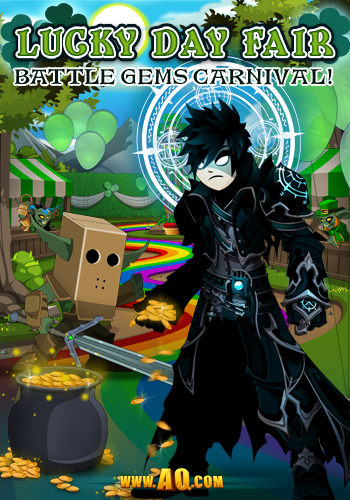 Along with the minigame, we're introducing a shop filled with Gem-themed gear and pets based on Battle Gems monsters! Our Luck is NOT in, because both Dage and I are out of the office today. I've got a mysterious illness (but do not worry, Artix already cast /heal!) 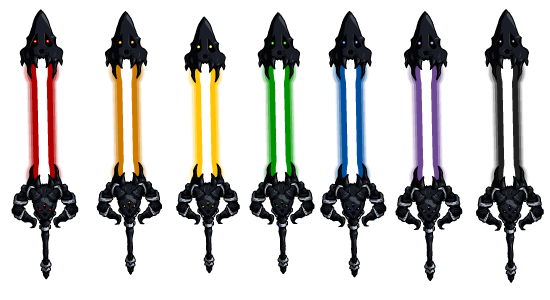 and Dage has gone off on a quest for the INSPIRATION OF ULTIMATE DARKNESS... but we snuck a preview of the Evolved Dark Caster Class (with all-new art) arriving this Friday anyways! It will be available for 2000 Legion Tokens (if you're a member of his Undead Legion) OR 2000 AdventureCoins (if you are not). 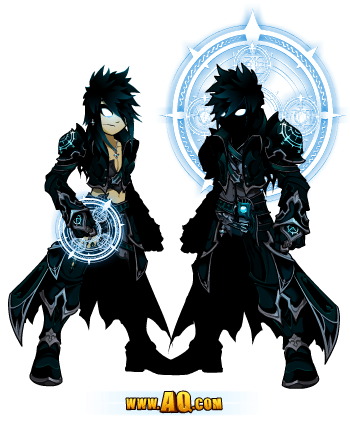 This version of the Dark Caster Class WILL go rare, though he has plans to release a new version for his birthday next year. * We will also release versions of the armor and accessories for Legion Tokens and ACs. * So all you rare hunters begging for something exclusive, this is it! 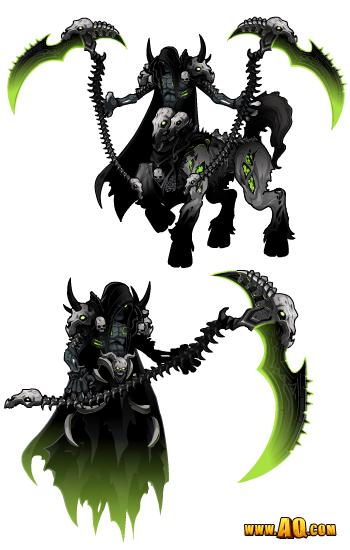 Defeat the Undead Horsemen to Unlock Dage's Gear! Tonight, your adventure in the Underworld's Void begins! 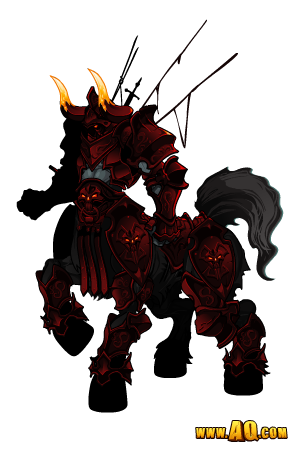 Dage has summoned four of his champions, all based on the legendary horsemen of the apocalypse, to test your strength, valor, determination, and skill! Death waits for you in the Undervoid! Battle monsters in the underworld to warm-up before the battles, then power through each of the horsemen to unlock the reward shops AND learn one of Dage's most closely-guarded, darkest secrets! Dage's champions fight clean but hit HARD. No fancy moves, no tricks or chicanery, just a straight battle to the death... or to victory! Once you've beaten all four horsemen once, you will unlock the Champion's Gauntlet Daily Quests! Defeat each horseman 7 times to earn an item which completes their corresponding badge quest to unlock a character page badge! Can you withstand War's wrath? Defeat Conquest 7 times to unlock the "Humiliation of Conquest" character page badge! Defeat War 7 times to unlock the "Slaughter of War" character page badge! Defeat Famine 7 times to unlock the "Feast of Famine" character page badge! Defeat Death 7 times to unlock the "Master of Death" character page badge! This event will be available until April 18th to give everyone a chance to unlock these character page badges! Feast on Dage's birthday rewards! Don't forget: Dage's DARKEST birthday gift arrives NEXT week, and tomorrow night the Holiday Paragon Cape will be available for 10 Legtion Tokens! Dage announced on Twitter that he wants to make the Altar of Caladbolg available while his birthday is here. (During the month of his birthday, he becomes Dage the Mostly-Good!) The Altar is ALWAYS available as a drop from the Treasure Chest, but now you don't have to rely on Luck to get it. Unlock the Altar of Caladbolg's quest! To make that fair for all the players who have worked hard (And spent many ACs) trying to get the drop from the Treasure Chest, the Altar's birthday price will be 5000 AdventureCoins, but the quest from the Altar of Caladbolg will also get NEW GEAR added to its quest next week. So if you already have the altar, you get more gear for free! If you're contemplating getting the altar now, you'll still have to pay for it, but you're going to get more than you were yesterday! * These rewards will only be available during Dage's birthday each year. UNDEAD APOCALYPSE!? 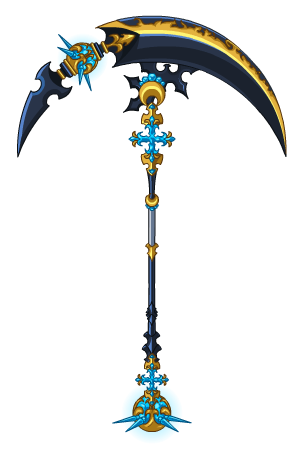 *wipes the happy & joy inspired drool off mouth and grabs Battleaxe* Seriously... it should be Dage the Evil's birthday every day of the year! 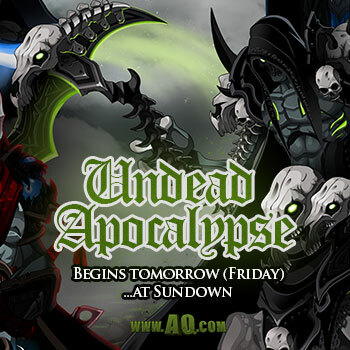 The new game release goes live in AQWorlds tomorrow at Sundown. As an added treat for us, Dage's Ultra Boss Birthday Challenge is coming too. 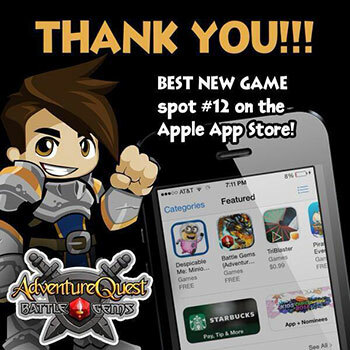 ANY DAY NOW AdventureQuest: Battle Gems, our first major mobile game will hit the Apple App Store. This fantasy/puzzle/RPG is filled with creative monsters designed by your favorite AE artists. It is also laced with deadly puns and more than a few inside jokes that only you will get. We have been anxiously waiting on Apple to approve the game and add it to the app store. In the mean time, we have been working on the Android and Web/Facebook ports. Also... I picked up my camera again and we started shooting some new crazy videos to promote the game. Remember the original Battle Gems commercial where we saw Brutalcorn for the first time? 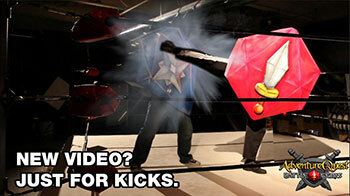 Haha, yes-- we created life sized versions of the gems that you use in the game to make attacks. While editing late last night I made a few "vines" of my monitor so you can sneak peek what I am working on and then posted them to my ArtixKrieger twitter. Lies! HUVr board is REAL in AQWorlds! HUVr board is REAL! 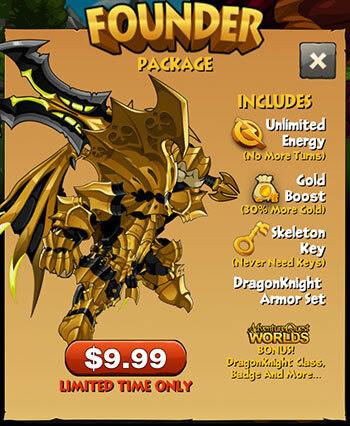 When you log into Battleon, speak to Cleric Joy and open the Battleon Assorted Shop. It’s only 2,014 gold, too!